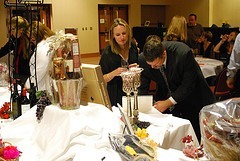 Silent auction events are an integral part of the yearly fundraising cycle for many non-profit organizations. In this two-part series, we’re taking a look at how non-profits of any size can find amazing items to auction off at their events. The Silent Auction Mailing? Really? Frankly, the first time I saw the “auction mailing” in action, I didn’t believe it would work. Here was a non-profit sending out hundreds of letters to local businesses, asking them to donate items for their big annual event, counting on the mailing to bring in the majority of their items. No way I thought… no way this will work. Four days after the mailing dropped, envelopes started coming back… dozens of them, stuffed with pledge sheets, gift cards, certificates, sports tickets, requests that the organization’s staff pick items up… it was amazing. The staff at that particular non-profit followed up with calls as well, and the items just kept rolling in. Silent auction mailings work. 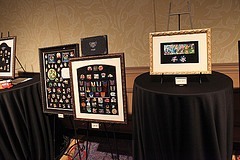 The silent auction mailing is a key factor to the overall success of your event. The goal is to send out a letter soliciting items for the event to as many businesses as possible. The first year you use this tactic, you will need to create a mailing list from scratch. In the second year, and then going forward, you will be able to mail the same list, each year adding new businesses to your master file. The first year you might mail 100 letters, but by adding businesses each year, by the time you reach your 5th or 6th annual event you could be mailing 500 letters out. This tactic should work from year one… meaning, you should see a decent return even the first year you send them out. That said, as your list grows and your event matures, you should see a better return year after year. Eventually, you’ll have a core group of businesses that know your event and expect your letter each year. What Type of Items Are Donated through a Mailing? Generally, you won’t find “major” auction items through the mailing. Instead, you’ll receive lots of nice small and mid-sized auction items, the kind that make up the majority of the items you will offer. (Major items generally come through calls and personal networking by your board and supporters, though I once worked with an organization that received a donation of season tickets for a major sports team just through a mailing they did, so you never know). The most popular items donated through mailings are usually gift cards and gift certificates, often in the $25-$100 range. Who Should You Send the Letters To? The first year you run your event, set an ambitious but achievable goal for the number of businesses you want to target. Many non-profits find that 100 letters are a good number for their first year. You will need to use the Internet, the Yellow Pages (if they even still send these out in your area), magazine “best of…” lists, etc. to find contact information for the businesses you want to target. Each year, try to add more and more targets to your list. Even if someone didn’t give last year, send them a letter again this year. Keep them on the list until they tell you that they will never give, or until they make it clear that they won’t give by not giving after 3-5 solicitations. What Should the Letters Say? The letters should be simple and compelling. I advise non-profits to keep the letters relatively short. Your mailing should include a one page solicitation letter, a one page pledge form, and a self addressed return envelope (I don’t think you need to put postage on the return envelope, as a high percentage of the people who receive the mailing will not donate). Make an ask: will you donate an item for our silent auction. That’s it… simple, direct, clear. In addition to the letter, you should also send a one page pledge form that asks for the contact information of the donor, what type of item they are pledging to donate, and what the retail value of the item is. The pledge form should also give the following options for making the donation: (1) The donation is enclosed with the form [this option is often selected for gift cards], (2) The donation will be mailed or dropped off at the non-profit at a later date, (3) The donor would like the item picked-up. Also, be sure to specify a deadline for returning the forms. While you will almost certainly accept an item donation at anytime up to an including the day of the auction, let donors know that getting their pledge forms in early will help you make sure all of the items get listed in the auction book and on your website. Finally, the package should include a self-addressed mailing envelope for donors to return their pledge forms. As pledge forms come in, you should use catalog and sort your auction items. 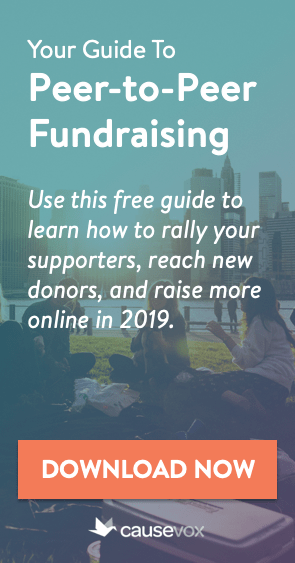 Your staff should be prepared to run around town once per week fetching items that donors want picked up, as good share of donors will likely want various gift baskets, etc. picked up at their place of business. 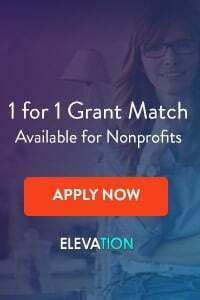 Finally, your team should be ready to do follow up calls and visits to maximize the number of auction item donations generated by the mailing… this is key – if you and your team follow up the letters with calls or in-person visits, you will likely double the number of businesses who donate in response to your mailing. So be prepared to have volunteers, your event committee, your board and others making calls to follow up on the letter. 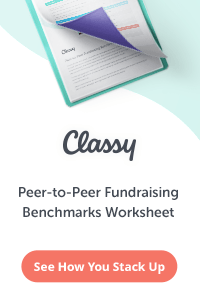 For more on how to run amazing silent auction events – including sample letters, spreadsheets and more, check out The Silent Auction Handbook. How much in advance should solicitation letters be sent? Great question, Michele! I like to send the letters out at least 2-3 months in advance of the event. It takes time for businesses to get the items back to you, so you want to make sure you get them out early and have time to do pickups and categorize the items, etc.